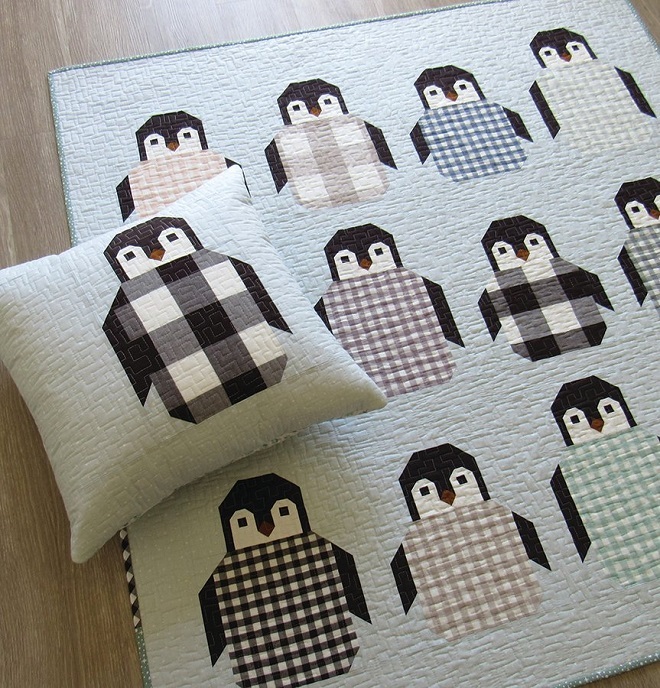 Patchwork penguin quilt pattern featuring 60" x 66" lap quilt, 50" x 50" child quilt, and 20" x 20" pillow projects. 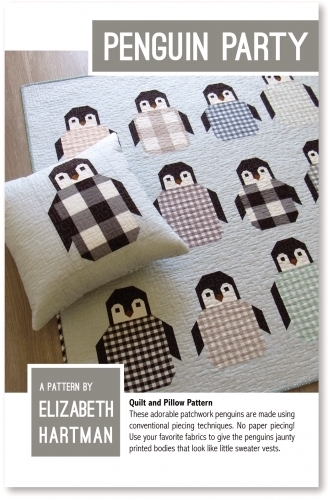 All projects are made with conventional patchwork techniques using fat quarters or precut 10" squares. No templates or paper piecing.